Key West post Irma …. There are a few empty shops on Duval, which you usually don’t see…there are some signs “closed for repairs from hurricane damage”….and a lot of the shade is gone… but Key West is every bit as beautiful as ever. My friend Deb met me there and we stayed at the Almond Tree Inn. Our room and the grounds were beautiful, and the location perfect. It’s a half block off of Duval on the quiet end of the street. This year they started a free Duval Loop bus that circles every 15 minutes and we rode it twice a day. When ever I go to Key West I always want to walk all the streets in Old Town so being able to catch a ride back was great. My favorite thing is to take photos of the architecture and flowers. One of these days I’ll do some paintings of some of my favorite spots. Chickens and roosters still abound. We even went to Sunset at Mallory Square, the first time in 33 years I’ve done that. The cat man is still there (thank you youtube for the video) – don’t know if he is the same one from years ago but he if he is he’s crazier than ever! Ate lunch at Blue Heaven after Deb left. NO I did not eat this Key Lime Pie with the giant meringue – the folks sitting next to me at the bar did! You can eat with the chickens running around your feet outside or inside without at Blue Heaven. We found some fabulous artwork in the galleries and visited with some friends. We ran into NC artist, musician, and friend Mike Rooney at Bo’s. He was teaching a painting workshop at Dog Tired Gallery the next day and getting ready for a show at Gallery on Greene later in the month, he’s also teaching at The Studios of Key West. We stopped to see boat builder, painter, wood worker, and all around artist and friend Tommy Avery (originally from Bridgeton) in his studio on Stock Island. This is one of his paintings of the Green Parrot. We had lunch with another friend who lives here, which made us feel like we really belonged in this slice of heaven. After seeing paintings by David Scott Meier, the creator of the famous painting “Nice Hat”…. …we tracked him down in his studio on Simonton. Turns out it was a fluke he was there since he is moving his studio up state to Deland, after being in KW for many years. We had a great conversation about his work, what he’s up to, where he’s been, and who he is currently studying with. I didn’t meet her but was greatly inspired by paintings by Joan Becker. I had never seen her work before. LOVE it!! Other work I liked were the totems by Key West Pottery potter and sculptor Adam Russell. Just for fun we went to see Randy Roberts at La Te Da. He put on a great show, (no lip syncing) and at the end he sings in his own male voice. He was great. No we did not go to the Garden of Eden but like a town where you can pretty much do whatever you want as long as you are not hurting anyone else. As epitomized in the official philosophy of Key West. I don’t know why but I love directional signs (other signs too) and always have to take photos of them. The thing I noticed most that was different was the lack of shade, Irma took out a lot of the canopy, but the flowers are still beautiful! They now have two flamingos (I don’t know how to tell whether this is Rhett or Scarlett) at the Key West Butterfly & Nature Conservatory along with an amazing number of butterflies! This guy was scooping up minnows to go fishing with. And as always the sunsets are Spectacular. I would have never thought to go to the St. Augustine Alligator Farm but heard from my friend Judy that there is an amazing bird rookery there so had to stop to see it. I’ve gotten so many great bird photos this trip I may have to paint some, if I do I will post them in this blog. And by the way they have hundreds of alligators!! Stopped to see my friend and artist Justine in Brunswick, GA. She’s an amazing sculptor, one of the most creative people I know. She is currently doing a lot of pieces inspired by Klimt. This sculpture is Golden Girl. Home again home again to get some new work done before the Studio tour May 5 & 6 I have so many ideas now I don’t know where to start! Next trip Amsterdam, Brussels, Luxomberg, Bruge…. but should have some posts about my art before then! 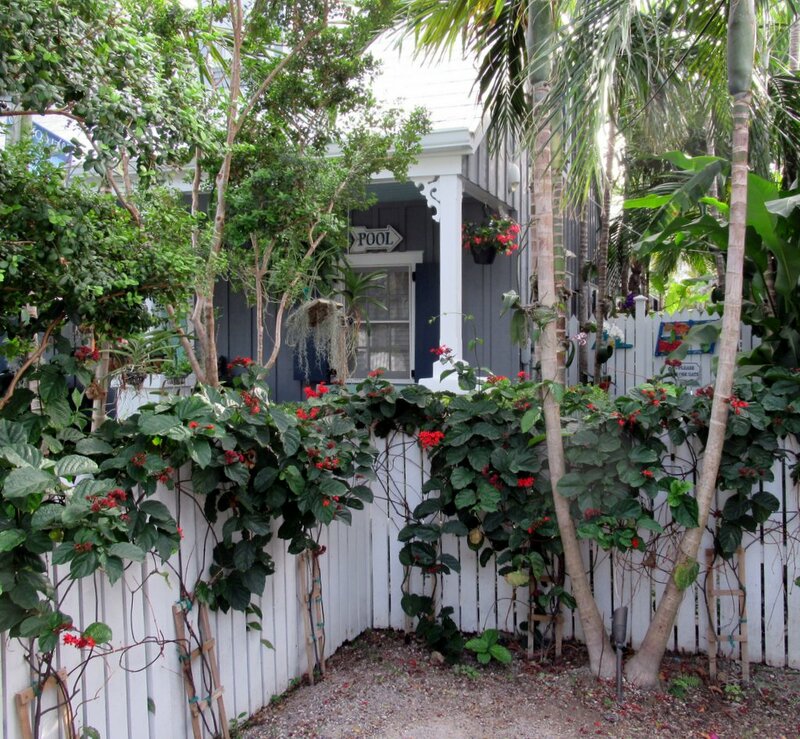 Love your photos of Key West, makes me want to take a trip there again. I am headed to Amsterdam , Brussels and Bruges on April 4th. Will let you know how it is, right now it’s cold! Thank you for your note Karen! I’m excited about my Amsterdam trip too, I’ll be there right after you. Happy travels!